Wood Burning Stoves Sheffield Wide – Why Choose A Dedicated Supplier? Wood burning stoves Sheffield wide are becoming increasingly popular with homeowners. Are you searching for a wood burning stove in the Sheffield area? Then Leeds Stove Centre could be the answer. We are already becoming one of the leading suppliers of wood burning stoves to the Sheffield area. At the Leeds Stove Centre we offer a fantastic choice of stoves in many designs, ranging from modern stoves to more traditionally styled stoves and curved contemporary wood burning stoves. Not only does our range of superb Yorkshire stoves look fantastic, but they are also extremely practical, offering a cheap, eco-friendly way to heat your home in the upcoming winter months. Before making a decision on which of the many wood burning stoves Sheffield area you’ll purchase, you’ll probably want to see what your options are and discuss how to use them to best effect from a specialist supplier. A large selection of our top-quality wood burning stoves can be viewed in our stove showroom in Pudsey, Leeds. A visit to our showroom will enlighten you on the choices available plus you can gain valuable insights into stoves, such as how to light correctly, running the air control, airwash, servicing, etc. We pride ourselves on supplying our customers with the highest standard of wood burning stoves at the best prices possible. Therefore, we stock stoves from the leading manufactures such as Stovax, Dunsley, Yeoman as well as lesser known manufacturers such as Dik Guerts! With such a large choice available and a range of different designs, you should find the best and most perfect wood burning stoves Sheffield has to offer here. We have a range of traditional, modern and contemporary stoves available to suit any home. In addition, we are also able to install your stove expertly. It’s worth noting that there is no legal requirement for a specific qualification in fitting wood burning stoves Sheffield UK wide, so many that are installed by non-experts can be poorly fitted or even dangerous in some circumstances. The dangers encompass such risks as carbon monoxide poisoning, increasing the risk of smoke inhalation and even devastating house fires. So, if you’re thinking of purchasing a wood burning stove, it’s critical you check that the firm you employ to fit it has the relevant experience and knowledge to do so. That’s why we insist that all our tradesmen are HETAS (Heating Equipment Testing and Approval Scheme) certified. We have a large number of in-house HETAS stove installers who can carry out wood burning stove installation Sheffield wide to the highest standards. Furthermore, we can also install flue systems, hearths, fireplaces, etc. Wood burning stoves Sheffield wide are highly energy efficient, not to mention a far more attractive alternative visually to other forms of heating systems like radiators. To benefit fully from the advantages they bring, though, you need the maximum choice and the very best advice from experts. Here at Leeds Stove Centre, we can promise you just that. With over thirty years of experience and the best range of products in the area, we can’t be beaten on price either. 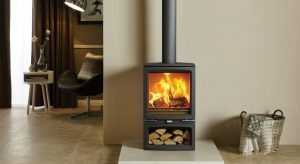 View All Our Wood Burning Stoves on our website at https://www.leedsstovecentre.co.uk/. Then, to arrange an installation survey, or if you have any other queries, please contact us on 0113 255 5622 or email us via sales@leedsstovecentre.co.uk.